TwoCan sales and lettings agency is our second ‘profit for purpose’ business enterprise, designed to generate new funds that will be gifted to Two Rivers Housing to support our work. Launched in June 2015, TwoCan offers a unique and ethical approach that – along with its bright and cheerful ‘Timmy’ toucan imagery – guarantees to make it stand out from the rest. Not only does it have charitable intent, but the business is run along ‘green’ lines, working online as much as possible and adopting flexible working practices to reduce the number of miles travelled. A property sales, lettings and management business is a natural partner for Two Rivers and its dedicated team draws upon extensive local experience in the property industry. 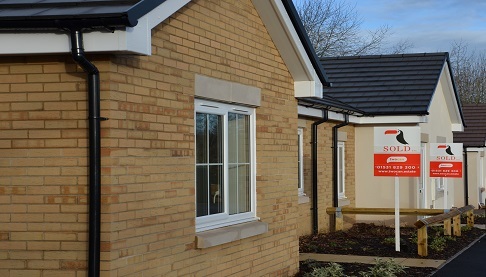 Clients can be assured of a professional, competitive service, delivered with honesty and integrity, and they will know that they are also supporting the work of Two Rivers, to provide affordable homes and build communities. TwoCan is based at our Newent office, where the team benefits from the support of many other relevant experts. As the business develops, other training and employment opportunities will evolve. Visit the TwoCan website for more information, to see its property listings, services available and prices.